Kavita and Lalit Bahl of Stony Brook have pledged $3.5 million to establish the Kavita and Lalit Bahl Molecular Imaging Laboratory at Stony Brook Medicine. The high-tech laboratory will enable Stony Brook physicians and researchers to diagnose and monitor disease at the molecular level, as well develop new targeted treatments for cancer, neurological disorders, and other diseases. Plans for the laboratory include a cyclotron, a particle accelerator that is used in medicine to create radioactive tracer molecules to enhance diagnostic capabilities or treat specific diseases, particularly cancer. The Bahl Molecular Imaging Laboratory will be located in Stony Brook’s Medical and Research Translation (MART) building. Part of Stony Brook Medicine’s $423 million expansion project, the 245,000 square-foot, eight-story MART will foster research to help better understand the basis for human disease and where scientific discovery will be translated into clinical research. As part of its core mission, the MART will be devoted to cancer research and care, and ultimately where promising patient results can be turned into FDA-approved healthcare diagnostic and treatment options. The MART will also house Stony Brook Medicine’s Cancer Center and advanced biomedical imaging and biomedical informatics programs. 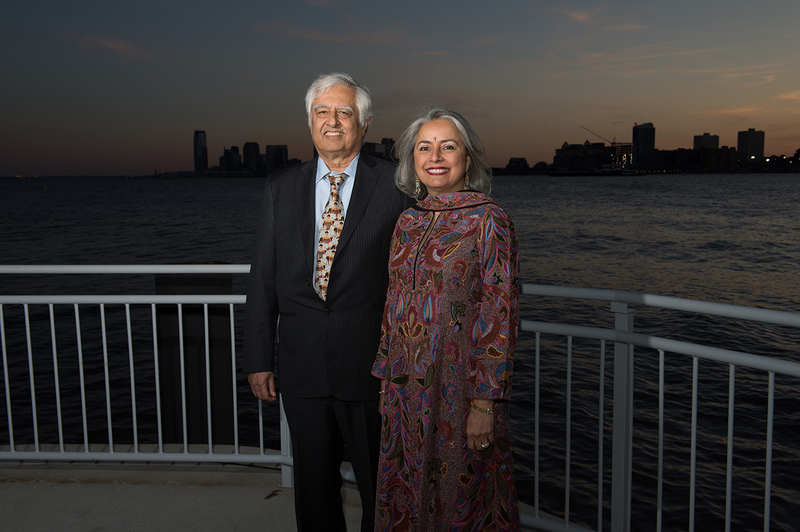 Lalit Bahl, an employee of Renaissance Technologies, and his wife, Kavita, were inspired to give to Stony Brook in light of Renaissance founder Jim Simons’ matching gift program to the University. Upon learning about Stony Brook’s history in medical imaging discoveries – starting in the 1970s when a Stony Brook Chemistry professor, Paul Lauterbur, developed magnetic resonance imaging (MRI) technology and subsequently received a Nobel Prize – the Bahls decided to help Stony Brook establish a molecular imaging laboratory. The cyclotron will complement and further enhance Stony Brook’s Positron Emission Tomography (PET)/MRI technology, which provides imaging results with a more precise and accurate assessment of disease. In 2013, Stony Brook became the first institution on Long Island to acquire a PET/MRI scanner. Stony Brook Medicine integrates and elevates all of Stony Brook University’s health-related initiatives: education, research and patient care. It includes five Health Sciences schools — Dental Medicine, Health Technology and Management, Medicine, Nursing and Social Welfare — as well as Stony Brook University Hospital and more than 50 community-based healthcare settings throughout Suffolk County. To learn more, visit www.stonybrookmedicine.edu.